Behold one of the heftiest investments and the centre of attraction of Ahmedabad City. It is indeed a shopper’s delight. And above all, an Engineering marvel. 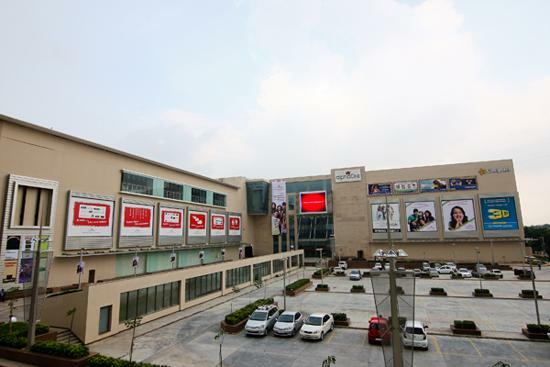 Yes, Amdavadis may have got it right; we’re talking about the Alpha One mall, Vastrapur. The construction started in 2005, when a multi-billionaire firm named Alpha G Corp bought 35,000 sq. feet of land from AUDA (Ahmedabad Urban Development Authority) for a heavy price of whopping Rs 55 crore in an auction. The construction kicked off in 2006. The mall was facing loads of protests and other stuff, because a non- vegetarian food franchise, KFC, was being opened as one of the outlets in Alpha One despite the fact that most of the localites are purely vegetarians. 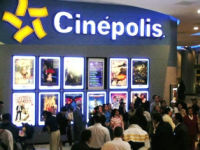 Even Cinepolis, a multi-screen movieplex, was protested against as it was very close to a religious property. Well, withstanding the protests, now we see what seems unbelievable to eyes. Also as a result, we have the very first KFC outlet in Gujarat, at Ahmedabad. A Good Rs. 450 crores was spent in the construction itself. That brought a total investment up to about 500 crores. But even that amount seems less compared to the beauty of the architecture. The structure was designed by a Canada based engineering firm, Arcop associates and the mall is spread around 12,00,000 sq. foot. It also boasts of a three level parking area, creating ample parking space for around 1300 cars and 2000 two- wheelers. There are currently 210 retail outlets and brand stores, housed within the premises of the mall. The most recent one, Being Human, a charitable organization run by Bollywood star Salman Khan, was opened which aids the funding of the organization by selling premium products of their brand. There are three Anchor stores, Hyper City, Lifestyle and Shopper’s Stop, Hyper City being the larger one. Brand outlets include Adidas, United Colors of Benetton, Samsung, HP, JBL, Reebok, Woodland, Nike, Levi’s, Provogue, ESPRIT, Swatch, PUMA etc., only to name a few. There’s also a food court on the third floor, and you start getting the aroma when you exit from the multiplex. What’s more, the mall is fully air conditioned, and has got a ton of escalators within. It also has a pair of fully transparent- polycarbonate shell elevators, a delight to step in. 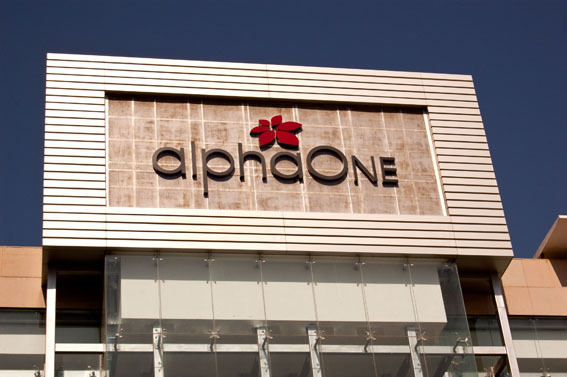 Alpha One is the perfect weekend spot for all those shopping freaks out there and specially for people who love window shopping, Alpha One is a blessing.